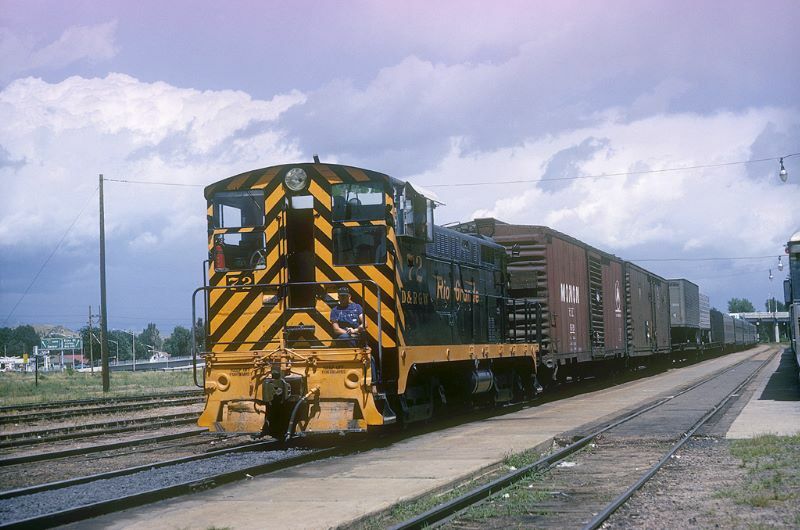 "Perhaps this is a mixed train, but there are no revenue passengers carried, so more correctly, this is a switching move. 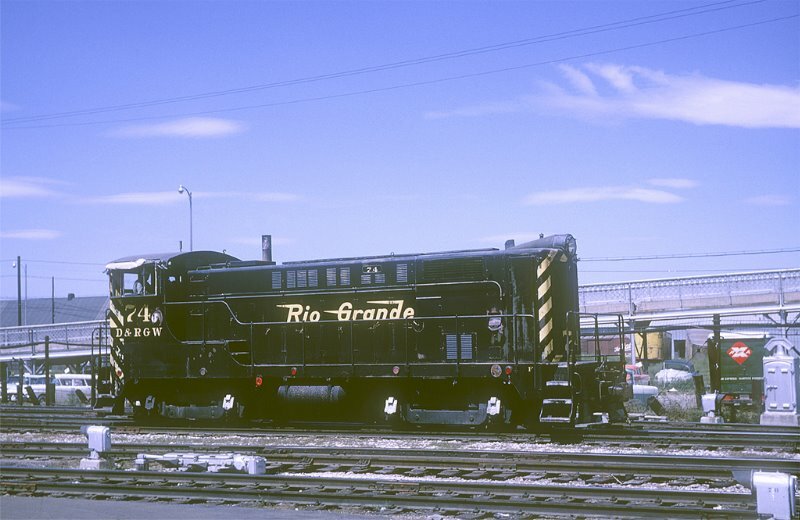 The D&RGW Train #1, The Royal Gorge, had arrived and dropped off the passenger cars, seen at the end of this train (the closest car is a leased/borrowed Great Northern sleeper, business was good this day). 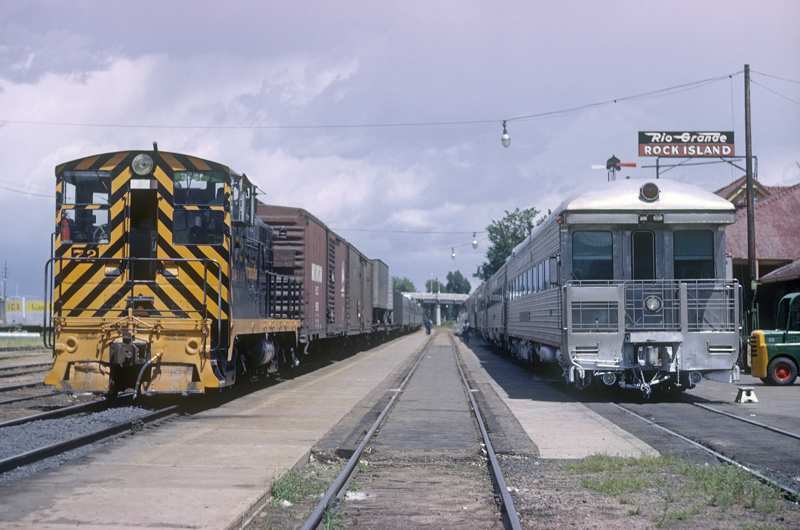 This was the Chicago Burlington & Quincy's Denver Zephyr connection between Denver and Colorado Springs. 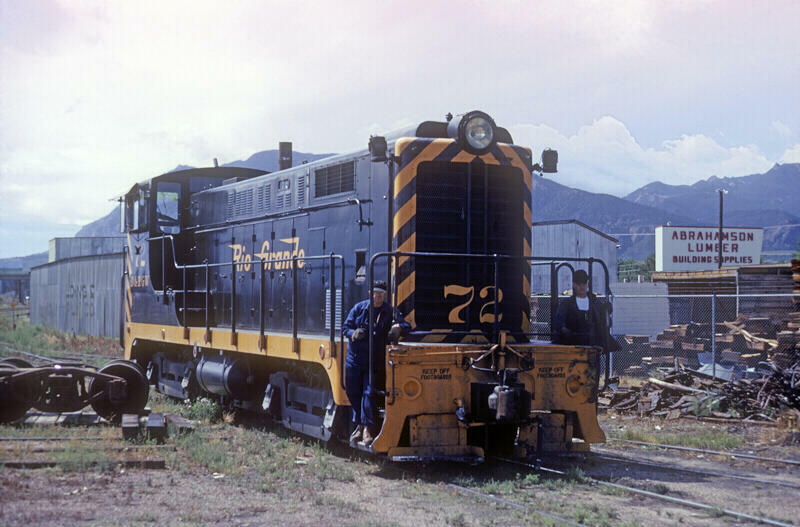 Number 72 has completed the morning switching chores at the local industries, and has coupled up to the Denver Zephyr cars, and will move them to the other side of town. 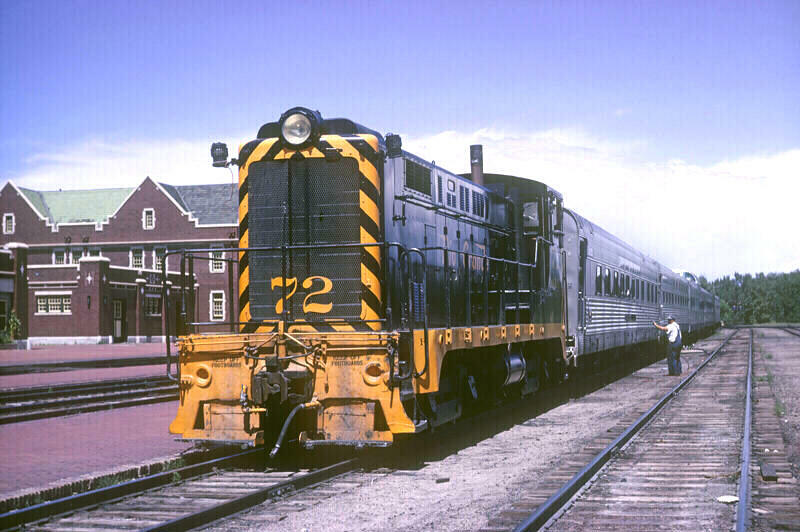 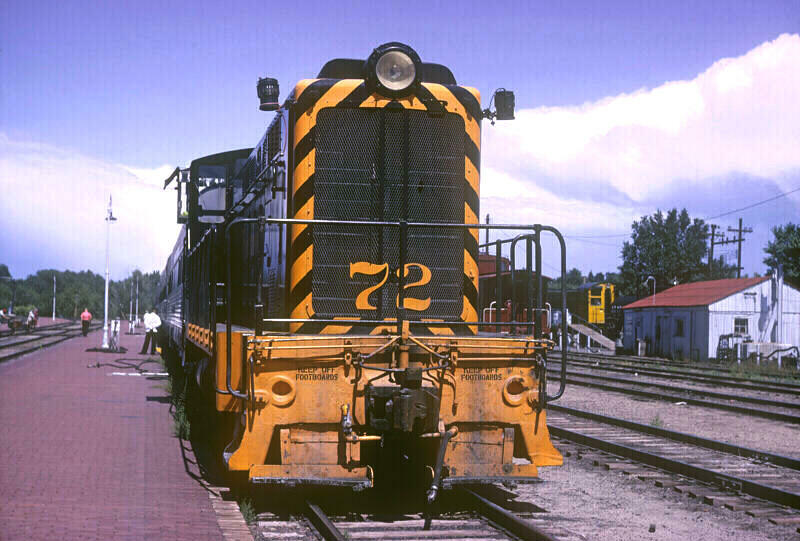 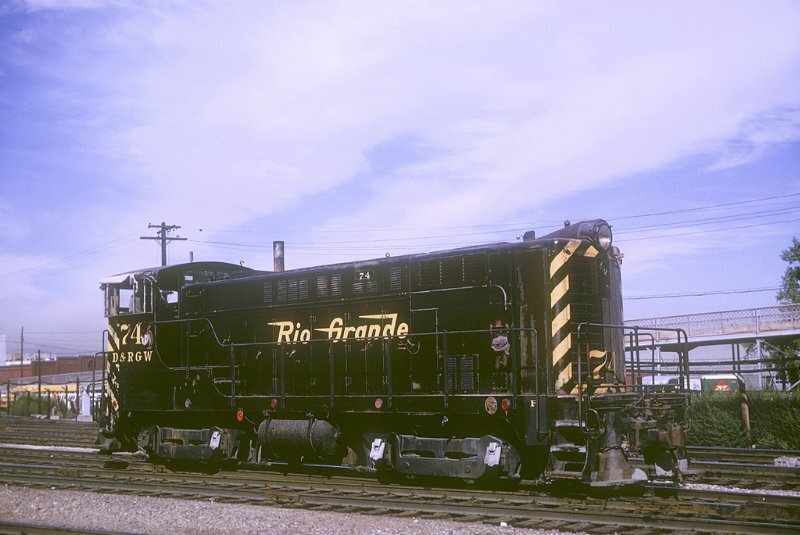 For those not familiar with Colorado Springs, the southbound tracks were on the west side of town, served by the D&RGW and Rock Island depot, and about a half mile to the east was the Santa Fe depot used for the northbound rail traffic, so this switching job included turning and transferring the Denver Zephyr cars from the southbound to the northbound side of town. 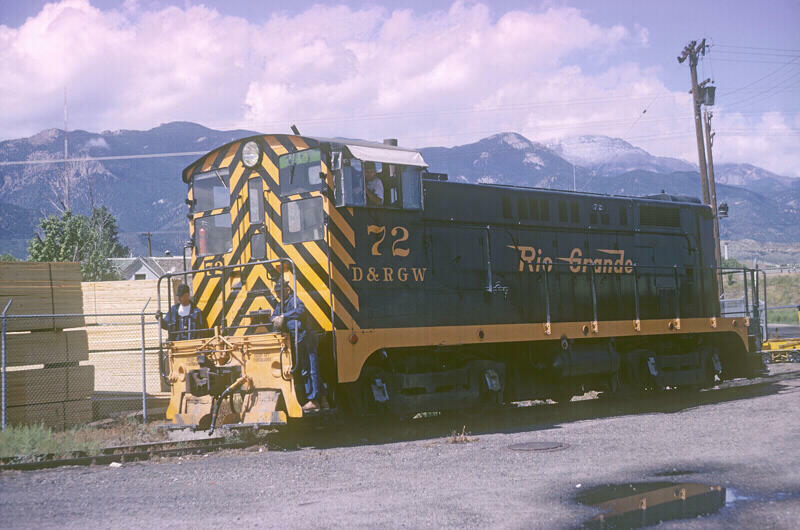 Number 72 will tack the passenger cars onto the rear of D&RGW Train #2, The Royal Gorge, for the return trip to Denver, where they will be cut into the waiting CB&Q Train #10, the eastbound Denver Zephyr."